Can you get the same credit card again? When I write about credit card signup bonuses people often ask if they can get the same card again. The real question in most cases is whether they can get the signup bonus despite having had the same card before. In almost all cases it is possible to get a new signup bonus for a card you’ve had before, but each card issuer has different rules that must be negotiated to make it happen. Obviously credit card issuers don’t want people signing up for the same card over and over just for the signup bonus. They can’t make money that way. And for those who just want the points, it’s not really necessary. At the time of this writing, our Best Credit Card Offers page lists over 4 million points and miles available through signup bonuses! On the other hand, it’s perfectly reasonable to have cancelled a card in the past and to consider returning to being a cardmember in part or entirely because of the signup bonus allure. There’s nothing wrong with that, and in most cases the bank does want to entice you back. The App Tips cover topics beyond whether or not you can get a signup bonus again, but the key info you need should be there. In many cases, there are no hard rules against getting the same card again, but the real limiting factor is whether you can get approved for a new card from that bank. 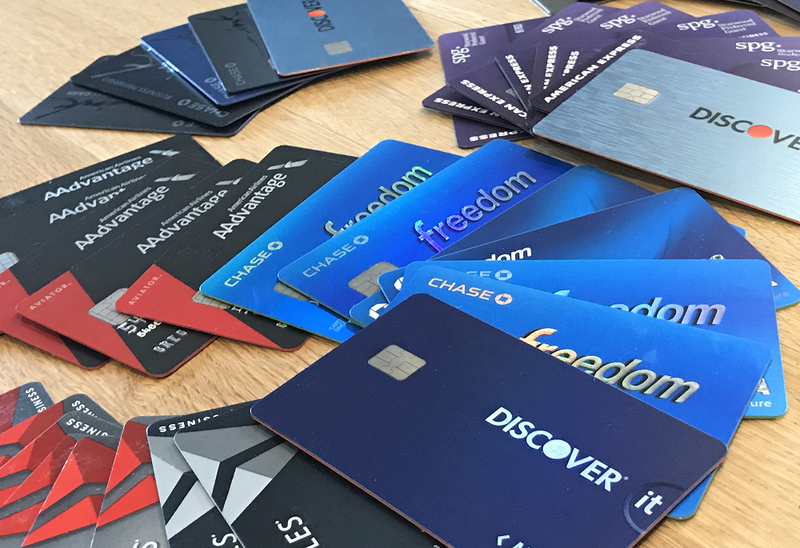 If you have good credit and only sign up for a new card once a year or so, this shouldn’t be a problem. Those who regularly sign up for lots of new cards, though, will have trouble getting approved with certain issuers. Watch for targeted offers without lifetime restrictions. Search your targeted offer for a section titled “Offer Terms” and search for words like these: “Welcome bonus offer not available to applicants who have or have had this product.” If nothing like that is found anywhere in the offer terms, you should be good to go. See also: 8 ways to get the best targeted Amex signup bonus offers. Or, wait 7 years since you cancelled the previous card. Amex doesn’t have a published rule about this, but anecdotally they seem to “forget” that you’ve had a card after 7 years. Note: Applying for an Amex business card with a second business, even with a distinct Tax ID (EIN), does not circumvent the once per lifetime rule. Similar cards are fine to get if you’ve had the other card before. For example, if you had the Delta Gold card before, you can still get the bonus on the Delta Platinum card. Business and personal cards are considered different products, so you can get the bonus on one even if you’ve had the other. For example, if you previously had the Delta Gold consumer card, you can still get the bonus on the Delta Gold Business card. Amex is generally pretty easy on approvals, but they have a hard limit you should be aware of: Amex allows each person to have no more than 5 credit cards (but they allow unlimited charge cards). If you already have 5 Amex credit cards (both personal and business cards count), then you would have to cancel some before applying for new cards. American Express application tips and signup offers can be found here. How to get the signup bonus for same card: BOA doesn’t have any known restrictions for this, but it’s usually a good idea to close the card before applying for the same one again. How to get the signup bonus for similar card: BOA doesn’t have any known restrictions for this. How difficult is approval? Business cards tend to be pretty easy to get, but BOA limits personal card approvals as follows: No more than two approvals per rolling two months; no more than three approvals per rolling twelve month; and No more than four approvals per rolling twenty four months. If you fall under these limits, BOA tends to be pretty easy on approvals. Other gotchas: If you get approved for a BOA offer, you may be approved for a lesser card: a Visa Platinum card rather than a Visa Signature card. These cards come with smaller signup bonuses. Bank of America application tips and signup offers can be found here. How to get the signup bonus for same card: The only known Barclaycard restriction is with the Arrival card: if you have the Arrival or Arrival+, you must close it before applying for a new Arrival or Arrival+ card. With co-branded products (such as AA cards), Barclaycard doesn’t have any known restrictions: it’s even possible to open the same card while you still have the previous one open. How to get the signup bonus for similar card: Only known restriction is with the Arrival/Arrival+ cards. You can’t get one if you already have the other open. How difficult is approval? Barclaycard can be very tough with approvals. If you have a history of applying for cards with Barclaycard just for the signup bonuses and/or you have lots of recent credit inquiries on your credit report, they are likely to deny your application. Barclaycard application tips and signup offers can be found here. How to get the signup bonus for same card: Capital One doesn’t have any known restrictions against getting the same card again. How to get the signup bonus for similar card: No known issues. How difficult is approval? Very difficult, plus you must wait 6 months from any previous Capital One application before applying for a new card from this bank. Capital One application tips and signup offers can be found here. In most cases you must wait 24 months after previous bonus to signup for same card and cancel the old card before applying new. Ink Business cards do not have the 24 month rule. There doesn’t even seem to be a requirement to close the old card before applying new. It’s definitely possible to keep the old card with a different business, but I haven’t personally tested trying this with the same business. In most cases it is fine to get a similar card (e.g. you can get the bonus for the Freedom even if you have the Freedom Unlimited). One exception is with Chase Sapphire products. The applications for the Sapphire Preferred and the Sapphire Reserve state: “The product is not available to either (i) current cardmembers of any Sapphire credit card, or (ii) previous cardmembers of any Sapphire credit card who received a new cardmember bonus within the last 24 months.” In other words, if you’ve received a bonus for either product, you must wait 24 months before applying for another Sapphire product. And if you have either the Sapphire, Sapphire Preferred, or Sapphire Reserve, you must cancel that card (or product change it to a Freedom card) before applying new for the Sapphire Preferred or Sapphire Reserve. How to get approved: Chase tends to be fairly lenient with approvals, especially after calling for reconsideration if denied. That said, they have one of the toughest hard and fast rules in the business: 5/24. You can circumvent 5/24 if you find that you are pre-approved in-branch. Chase application tips and signup offers can be found here. How to get the signup bonus for same card: To apply for a card within the same brand, you must wait 24 months after opening or closing account. For example, if you opened or closed the Premier card within the last 24 months, then you can’t get the bonus for the Prestige card. Product changing does not count as an open/close event if you keep the original account number. If you are issued a new account number then it will count as both a close and open event. How to get the signup bonus for similar card: See bullet above. Note that business cards are handled separately from personal cards, so you do not need to wait 24 months to get an AAdvantage business card, for example, if you recently opened or closed an AAdvantage personal card. How to get approved: Keep within these overall Citibank signup rules: Max 1 personal card per 8 days; Max 2 personal cards per 65 days; Max 1 business card per 95 days. Citibank application tips and signup offers can be found here. How to get the signup bonus for same card: You must wait over 12 months from the previous application. How to get the signup bonus for similar card: No known restrictions. How to get approved: You may have no more than 2 Discover cards open at one time. Discover application rules and signup offers can be found here. How to get the signup bonus for same card: No known restrictions. How to get approved: Approval can be tough. US Bank application tips and signup offers can be found here. I have a question.. I have two established LLC’s. Both are registered to the same addy. Can I get the same sign up bonus for the different LLC business cards? Or, do they go by the guarantor, which would be me in both cases? I just got the Chase ink bonus for one. And would like to get it again for the second business. With Chase Ink, yes. With any cards that have Chase’s 24 month rule, I believe the answer is no (unless you close the account and wait 24 months from the bonus). With Amex, a second business doesn’t help. Overall, a good summary with the exception of applying for 2nd Barclay cards. Barclay only allows 1 Arrival+ per person. Do you agree? Yes, thank you! I’ve updated the post accordingly. canceled Amex SPG biz card a yr ago. Have a second business- Can i get the bonus if I apply for a new card now for that different business? Unfortunately, no. I’ve updated the post to try to make that clear. Has anyone gotten 2 Banco Popular Lifemiles cards? From other reports, the answer is no. Must close the 1st Banco Popular Lifemiles card, wait a certain number of months before applying again. Has anyone here successfully received a 2nd bonus on their 2nd Banco Popular Lifemiles card? Thanks for putting this info together. About This Offer: You must be at least 18 years of age. This offer is available only to applicants who are residents of the United States, with the exception of Iowa and the US territories. You may not be eligible for this offer if you currently have or previously had an account with us in this Program. In addition, you may not be eligible for this offer if, at any time during our relationship with you as the issuer of an account in this Program, we have cause, as determined by us in our sole discretion, to suspect that the account is being obtained or will be used for abusive or gaming activity (such as, but not limited to, obtaining or using the account to maximize rewards earned in a manner that is not consistent with typical consumer activity and/or multiple credit card account applications/openings). If at the time of your application you do not meet the credit or income criteria previously established for this offer, or the income you report is insufficient based on your current obligations, we will not be able to open an account for you. This one-time 40,000 miles offer is valid for first-time cardmembers with new accounts only. I don’t believe that they enforce it the way Amex does. Does this mean you can close the Ink Business Preferred, sign up for the card again shortly after, and re qualify for the 80K signup bonus? Yes, but keep in mind that Chase has been known to shut down accounts of people who actively churn cards. If you do that once, you’ll probably be fine, but I wouldn’t do it regularly. What about Wells Fargo cards? I believe that you can get the same card and bonus again, but they only allow 1 signup bonus per 16 months. The primary cardmember will earn sixty thousand (60,000) AAdvantage® bonus miles after a first purchase is made on the Account within ninety (90) days of Account opening and the annual fee has been paid. This one-time AAdvantage® bonus mileage offer is valid for first-time cardmembers with new accounts only. Existing cardmembers, existing accounts, and previous cardmember with accounts closed in the past 24 months may not be eligible for this offer. This is a limited-time offer and will no longer be available after January 31, 2018. Please allow 4-6 weeks for AAdvantage® bonus miles to be deposited into your AAdvantage® account after the qualifying transaction has posted and your annual fee has been paid. You might get the card again, but not the bonus according to this. Be careful with Barclays. I had both the Barclays JetBlue Plus and JetBlue Business card, each of which I closed after a year, mostly because I didn’t want to pay the annual fee again. I figured I could always get one of the cards again if I needed. I tried a couple of months later, and found that I am ineligible to apply for either card, for 24 months from the closing date. It’s immediately rejected by the system, without a hard pull. Four different credit analysts told me this, and two said it is a new rule. The Aviator fine print seems a clear indicator that 24-month policy does now exist in some form at Barclays, but, I think that Barclays won’t actually give you a card without a bonus. They’re just not going to let you get the card at all. Thanks for this. I didn’t know they were doing this! I currently have the Preferred and Freedom. I will be getting the Reserve as soon as I go under 5/24 later this year. It’s been over 2 yrs since I got the bonus for the Preferred. So I should still PC my Preferred or close it, before applying for the Reserve? Or else I don’t get the bonus? If you were an authorized user on someone’s AMEX (ie Hilton Surpass) does that mean you are not eligible for a bonus on that card if you sign up yourself? No, being an authorized user doesn’t affect your ability to get that card and bonus for yourself (this is true for all issuers). Great post! If me and my wife are partners of the same business, can each of us apply separately and get a sign-up bonus? How soon can I apply for BoA Alaska after closing it? Also, should I move the credit line to another card before closing or let it go, to hopefully get it back when reapplying? Would hate to only get the lower tier card. It’s unclear whether BOA cares whether you’ve cancelled the previous card, but to play it safe wait a month after cancelling so that it shows as cancelled on your credit report. The key thing to beware of is the app rules: No more than two approvals per rolling two months; no more than three approvals per rolling twelve month; and No more than four approvals per rolling twenty four months. Great post, thanks for the info. A year ago I needed bridge loans for a home purchase so one thing I did was take out Chase’s Slate card w/ no balance transfer fees or interest for 15 months. At the time it was the only card that I’m aware of that had such an offer. Now BoA has one, too, so I just initiated a transfer from Chase -> BoA. Any idea how the above article would apply to Chase Slate – wondering if I could roll the BoA balances back into Slate (and then who knows, just keep doing this for as long as they’ll let me). The Slate offer doesn’t have any rules against having had the card or the balance transfer deal before. So, I think that as long as you can get approved you should be able to do it again. Hi guys, I got a sigh-up bonus via Hyatt Chase Credit Card 24 months ago. I still keep this card. How long should I wait after I close this card to get the second bonus? I’d wait a couple of weeks at least. Great post Greg. would you happen to know if i can get 2 United Explorer card(s) under the same name? or can i get a Explorer card and a Club card? One Explorer and one Club should be no problem, separate products there. However, Chase won’t approve you for a second card that you already have. You would need to close or product change the Explorer card you currently have in order to get another. If for some reason you actually want to have two Explorer cards (I can’t think of any reason why you would…), you could theoretically open an Explorer and a Club and then later downgrade the Club to a second Explorer, though they may require you to have it open for a year before downgrading. Does BOA allow to apply for another card that you already have without canceling first card? Such as Alaska personal card or Air France card. When creating an EIN simply for the purpose of getting a second set of business cards from a bank, do you select “sole proprietorship” or “LLC” when creating the EIN? Or does it not even matter. I wouldn’t create an EIN unless you have a business for it. In most cases that will be a sole proprietorship.